What have them lazy so and so’s been doing? We are nearly ready for you and we start building the festival in 2 weeks’ time! The festival is back at our iconic home of Catton Park nestled in the National Forest for our 11th outing. In this addition of our newsletter is to give you an insight as to what we have planned and what we have done to try and make this year’s festival a bit more special than the last one. We have 6 main music stages being The Pallet, Magical Sounds, Woodland, Maui Waui, Convoy Cabaret and One Big Showcase. We have several smaller venues including Something Else Tea Tent, The Ship, Rogues Hideout, Magic Teapot, Alpaca, Creative Intentions and much more. The festival arena will open after 4pm on Thursday and music on the opening day will be supplied by the Pallet, Woodland, The Ship and Alpaca. On Friday the festival is fully open, and music will commence from midday on Friday and all live stages close at 11pm, Woodland at midnight and indoor DJ venues until 3am.The Woodland is open until 2am but showcasing comedy from midnight until 2am on Friday and Saturday. In total we have 257 acts performing at this year’s festival across all our stages and side venues. We have installed more drainage into the main arena should the elements not be on our side, completing the final phase of festivals site drainage works. We have created a much easier access point from Oaklands campervan field into the Trent Campervan site, added 2 new venues the Magic Teapot and One Big Showcase, added more toilets to all areas of the campsites and arena. We have added urinals into the general camping areas (not family camping). We have grown the family camping area following last year’s feedback and we have 3 areas for family camping clearly advertised when you arrive but in addition a campsite management team are working the sites ensuring we have space for everyone and avoiding camping areas becoming “land-locked”. The Woodland PA system has been overhauled and replaced with a top specification line array system following feedback in 2017, the Pallet has been replaced to improve facilities for our production team and lighting upgraded, the Children’s Village and Magical Sounds had a space increase and we have added a second merchandise stall in the Woodland. All the bars will be serving from compostable glasses and using paper straws, we recycle all litter off site and we aim to beat the 80% we recycled in 2017. The Woodland walk has an affordable array of street food vendors and we have put in a gin bar into the Woodland stage area. We ask you to please abide by the camping chair signs in the main arena, we have designated areas for their use to accommodate people’s needs for having them against the arena areas capacity and dancing requirements. Thanks for supporting us once again and we can’t wait to see you all in a few weeks’ time. Tickets are all but sold out and the only available tickets are now the re-sale of tickets following review of payment plans by See Tickets. If you paid via the monthly payment plan, the final payment should have been taken from your bank ACCOUNT TODAY. If you paid via the pay half now and half later payment plan, the remaining balance NEEDS TO BE SETTLED ASAP. Remember you manually need to settle the balance. Tickets for the payment plans will be posted out towards the end of this week. Accessibility applications have now closed. The earliest you can arrive at the festival is 1pm on Thursday May 24th and no earlier. The festival had a very bad time with the authorities because people arrive earlier than the advertised time and we need your support to ensure our premises license doesn’t become at risk. Gates close strictly for re-entry/entry at 8pm. Gates re-open at 9am on Friday May 25th until 9pm. Please note you can vacate the festival at any time. Music does not start until 4pm at the earliest so you will have plenty of time to set up before the music starts and the bars open. If you arrive early why not support the local economy by using a local supermarket for festival supplies or go to a local café located off the A38. 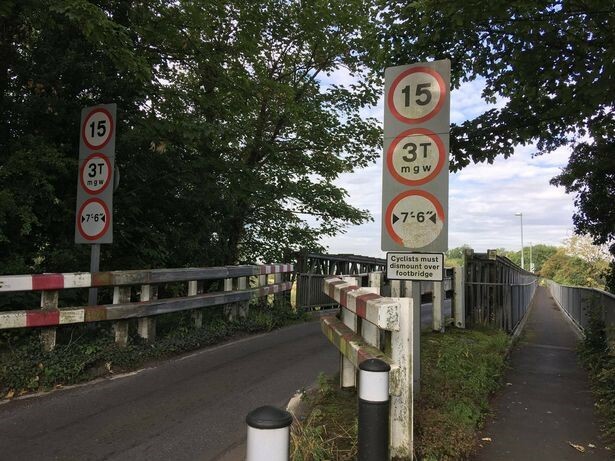 Due to a very narrow bridge in Walton on Trent we ask everyone to follow the routing signage and do not try to enter via Walton on Trent due to a very narrow bridge. Last year we had several people with caravans and campervans trying to use this route and ended up getting stuck. This had a serious impact to Village residents and commuters going to work. We try our hardest to avoid impacting our neighbours spending thousands to mitigate noise pollution and litter kept minimal in surrounding areas, but we can only do so much without your assistance. Please, please follow the signage both in and out of this year’s festival and help the festival become a positive impact to our local community. Bearded Theory’s “FoodBank Holiday” campaign encourages everyone to bring one item of healthy, non-perishable (tinned, dried or longlife, unopened and in-date) food for donation on arrival at any of the festival’s car parks and entrances. We also accept sugar, pasta, unused underwear, flour, clothes / coats, rice, soup, thermal hats, gloves, socks, scarves tinned tomatoes shoes baked beans.